In 2017 the School of Molecular Sciences (SMS) at Arizona State University launched a new online Bachelor of Science degree in biochemistry. Online degrees offer nontraditional students who may feel excluded from traditional college programs the opportunity to gain the experiences and qualifications they need to support their career aspirations. Realizing their online students are not typical, the SMS faculty spoke with the first cohort to get their perspectives on the new degree program and learn how this new online route might provide the career pathway they have been looking for. The biochemistry degree program fits the needs of this cohort, some of whom were looking for this specific degree in biochemistry while others needed to meet the requirements for medical school. The program also provided the support of advisors and professors that ASU is known for. The first cohort of students came from all across the country. Whether pursuing medical school, pharmacy school or graduate school, all agreed the online program was unique in what it offered compared to other degree programs. 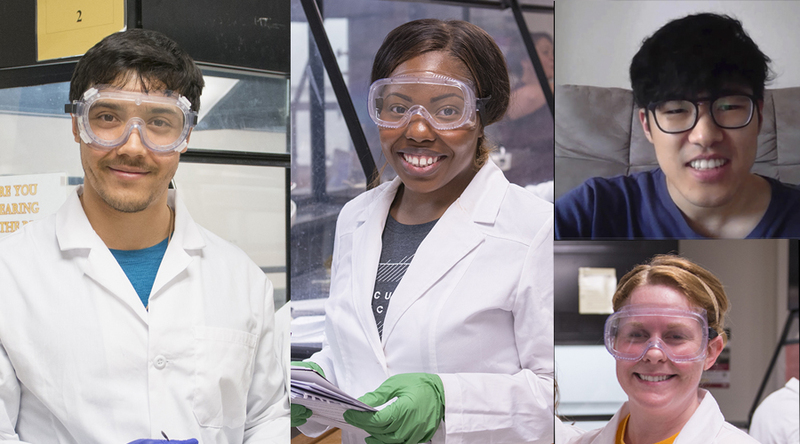 This first-of-its-kind online biochemistry program with a hands-on lab will help them on their way to the next educational goal. “This has impacted my life because I never thought that I would be able to still work and still complete my degree online. Sometimes I am still pinching myself. Am I really doing this?” said New Jersey student Andrea Adeusi, who plans to attend medical school after graduation. Over the past year, students in the program have said they have never felt more supported by their instructors, and the pace of the course work is what keeps them motivated to learn. "My goal for the next several months is to get into medical school,” said Arizona student Leo Alaniz. The intention behind offering an online biochemistry degree with the lab component is to create access to higher education for all students. “We hope that through this online degree we are able to help those students who have been excluded previously because education should not be for some people, but for all people who desire such a degree,” said Austin. Learn more about the SMS Biochemistry Bachelors of Science Online Degree program at ASU. The Chelsea, Massachusetts, native spent the past seven years teaching in rural Arkansas. It’s an area with a high dropout rate, so Cragg wanted to make sure her students had as many opportunities as possible. In addition to advising extracurriculars like yearbook, marching band, color guard and spirit club, she looked for ways to encourage further educational attainment. She had already earned an MA in teaching from Southern Arkansas University, but needed additional graduate study hours in English so her school could offer dual-enrollment classes to juniors and seniors. “I then decided I might as well go for the full degree,” she said. Cragg selected the ASU online program in English. The online format was perfect for her, offering rigor as well as the flexibility necessary to balance her many commitments. 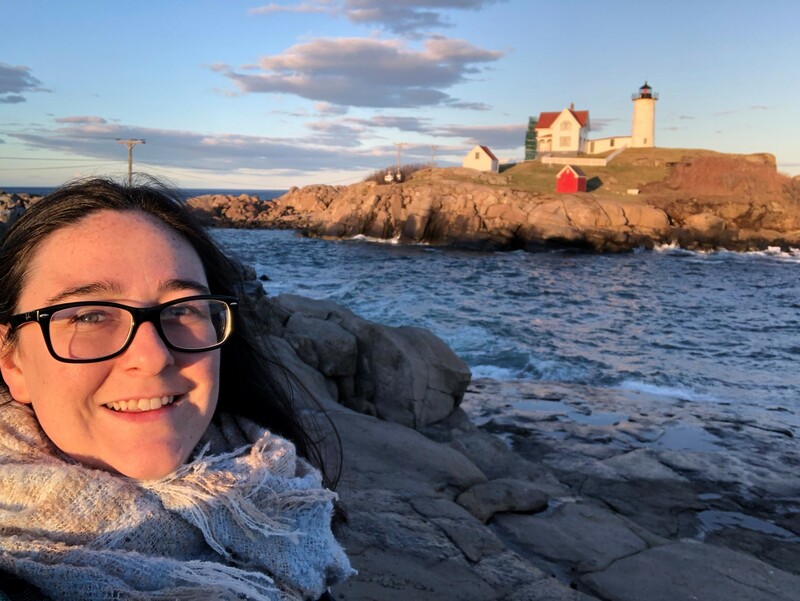 This past summer, Cragg and her husband left rural Arkansas for urban Boston, where she began teaching first-year writing at two colleges in the area. We caught up with Cragg as she finishes her coursework to find out what she’s planning next. Answer: I feel like my whole life was a series of "aha" moments with regard to studying English. I was an early and enthusiastic reader, and I later loved to write in imitation of my favorite authors (Vonnegut and Austen, possibly the oddest of odd couples). Majoring in English and becoming a teacher eventually became a foregone conclusion. It was then only a matter of time before I decided to pursue my MA. A: In my “Methods of Teaching Composition” class, I found out that some of my planning, grading and feedback methods were less helpful than I had thought. I really had to examine what I was doing and then adjust my practice. Since this revelation, I am much more intentional with my teaching, and I feel more effective as a result. A: ASU offered a flexible program with tons of options and support that many schools do not make available to online students. As a full-time teacher with varied interests and specific needs, those options were so valuable to me. I was able to take courses I actually wanted and focus on topics relevant to my professional and academic goals. A: It's not necessarily a lesson, but the two courses I took with Gregory Castle taught me perseverance and helped me improve my writing. I'd also like to recognize Claudia Sadowski-Smith and her “Magical Realism” course, which introduced me to some of my new favorite literary and critical voices. A: Persist. College and grad school can be stressful and overwhelming sometimes, but it is so worth it to push through. The feeling of accomplishment when you finish a course — or even just a difficult assignment — is incredible. A: My campus was my couch! I think my Labrador, Remi, deserves an honorary degree for all the papers she helped me write! A: I am currently an adjunct, teaching at two colleges in the Boston area. I will continue with that for a while before I make the (probably inevitable) decision to get my PhD. A: Equity and accessibility in education. My time teaching in both secondary and higher education has shown me that access to quality education can be the first step in solving so many of the other problems in the world. I'd like to eliminate the racial, socioeconomic and gender biases that limit access to educational institutions.